I am sure my friends and family mean well and deep in my heart I want to be able to answer their seemingly never-ending list of questions, but I cannot. Because I’m still asking God “Why?” and all those “What?” questions from others is more than I can bear. Why me, I hate chocolate and hardly ever eat sweets? Why me, I just crossed into my 30s? Why me, God, just plain and simple why me? Why me, no one in my immediate family has diabetes? Why me, I just started going to the gym five days a week? Why me, I eat vegetables each and every day? Why me, I don’t eat pork, I don’t fry, I even go weeks without eating meat each year? Why me, I’m 40lbs lighter than I was five years ago? God, I just don’t understand. When will you heal me and make me whole Father? When will you bless me like You did the woman in the Bible who had an issue that only you could solve? I have an issue too, Father. I’m taking my medication, when will you restore me? I’m exercising again and eating the proper combination of foods, when will you deliver me? Without works, my faith is dead, so I’m working and believing–when will you show up and show out? When will this test become one of my greatest testimonies? As I am moving from Why? to When? I’m able to see that Why? leads to a dead end. The questions are unproductive. When? allows me to push myself, encourage myself, and remind myself that if I do my part He’ll do His part. When? holds me as much accountable for my healing as it does God. Plus, all those Why? questions could easily be flipped around. Why did you keep me in good health longer than some other people? Why did you give me the time to finish school and get married? Why did you hold off this illness until I had the type of insurance that covers a large portion of these costly expenses? Why did you give me the sense to go to the ER when the doctor told me it was useless? Why when my body was on the brink of going into a coma did you keep just enough blood flowing in the right places long enough for me to get assistance? Why did you remove the taste from my mouth when one more glass of orange juice could have killed me? 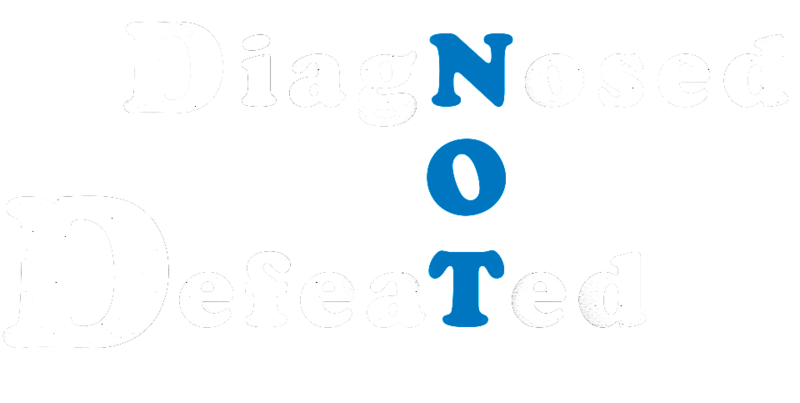 Why did you allow me to find out at the onset of this chronic disease while there is yet still hope? In short, why did you bless me? Why do you keep on blessing me? Why are you still carrying me when I looked at those one set of footsteps and thought you had left me to walk alone? I may not understand, but I thank You! You've already inspired me in so many ways and the color that you bring to this world is a blessing to us all. I am always one phone call away and I thank you for sharing something so intimate about your physical body. No one can walk your walk for you, but we can hold your hands. I love you like a sister and I pray that your knowledge and strength will continue to inspire others. My hope is that more individuals will come forward and lighten their load by sharing and relying more on spirit than flesh. You are a true light. Remain spectacular. Many thoughts and yet i cant even pick the right words to write here. Your initial informative email manipulated by body and threw my eyebrows into a huge furrow and my heart into a plea of forgiveness. Forgive me for being a distant friend. While i have never been good with the phone and know if my girls ever needed anything i'm first in line, but what a poor excuse. Like many here, you've always been an inspiration to me. When people get comfortable, lazy, apathetic, i believe God uses a few in his numver to turn the world on its head, to slap fire outta the cold, give vision to the blind. Here i have been not taking my meds, ignoring the pain spells, and here you are being obedient. There is no doubt in my mind that you are chosen! Surely he didnt bring you this far to leave you here. Thank youfor your courage and your words and being His vessel. I'm not good with words but the Bible always is Phil 4:6-7 Do not be anxious about anything, but in everything by prayer and petition, with Thanksgiving, present your requests to God. And the peace of God which transcends all understanding, will guard your hearts and your minds in Christ Jesus. Dr. P, I love you with all my heart. I am on this journey with you. 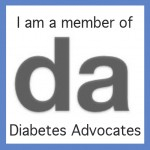 My father was a diabetic…yet, I still don't know much about it. I am here for you in spirit and love. I am in your corner as a friend always. Your journey to restoration will be an inspiration for many.We may not always understand the hows and whys, but God does and reveals it in HIS time. I walk by faith too and know you are healed. Continue to express your thoughts and feelings in this blog. You will find catharsis in it. You will also be able to look back and see how far your your journey has taken you. I'll be following and rooting for you. You may not see it, but my shoulder is here for you to lean on. Wow P! I had no idea!! Thank God you made the discovery before it was too late. I think it's natural to ask why… I asked that a lot about my chronic illness as well (grave's disease), when I was initially diagnosed. 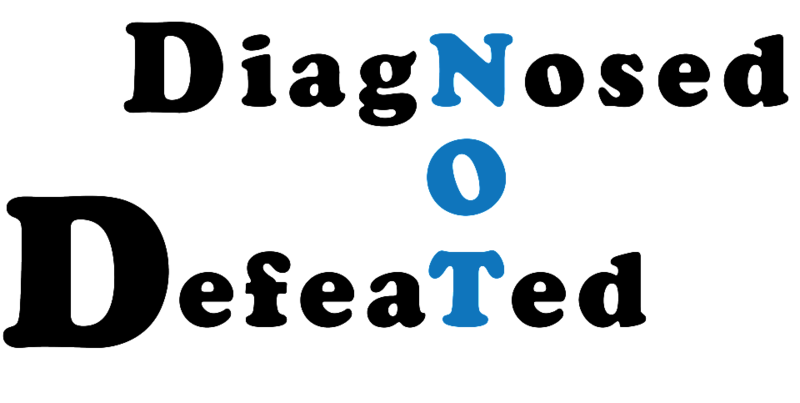 I was only 24 when I was diagnosed and felt I was too young and it was unfair! Like you said though, the whys? got me nowhere and so I just learned to deal with it. I love your approach to your illness. God is good! You are way ahead of me because it took me a while to be thankful for everything else He'd blessed me with vs. being mad for what I felt he allowed to happen to me.